I’ve been reading that “Call me Dave” Cameron, our esteemed Prime Minister, is jolly keen on strengthening the rights of victims through his toughened up Victims Charter. The aim of the charter is to combat complaints from victims of crime who feel that the criminal justice system fails to take account of their views and needs. Before we go any further, it’s worth saying that despite some changes to court procedures; victims of crime play only a small part in the over-all criminal justice system. This is because the system developed essentially as a way to allow the King of the day to dispense justice, which he wanted to do to keep control of his kingdom. This developed over centuries to the current system whereby the state brings a prosecution against an individual (although even today all criminal cases are technically brought by Her Majesty the Queen against an individual). Because of this historic development victims are not a party to criminal cases and so they have no representation and can only contribute in so far as they can give evidence of the crime committed against them. Victims can currently give a “Victim Impact Statement”, which we will discuss further later on. 6. More protection will be provided for witnesses. As regular readers of this blog will know, I firmly believe that much of what politicians (especially senior politicians) do is simply for show rather than a serious attempt to address a real-life problem. So that bias declared you won’t be surprised to hear that I firmly believe that to be true of these proposals. I’ll explain why I think this for each proposal. As with most of the proposals, number one is so vague as to be meaningless. I’ve been a victim of crime a few times in my life: an attempted robbery when I was 15, a break into and theft from my car when I was 20 and a couple of (very minor) assaults in my late 20s and early 30s. I reported the attempted robbery and one of the assaults to the police. Both times I received information about victim support and a letter inviting me to come along to a meeting should I feel the need. These incidents were separated by 15-years and occurred in different places yet I got the information very quickly after reporting the minor offences. So we can see that offering support is something that has been going on for at least 20+ years. Will offering that support within 24-hours make a significant difference? I suggest that in most cases it will not. The second point is that the commitment is not to provide support, merely to offer it. How will this be achieved? I suspect by having leaflets available at police station front counters, information on websites and emailing people who report crime. I’ve yet to see a suggestion that Dave will be pumping the victim support charities with cash for them to provide any more services so I suggest that promise one is at best hot air. I have to admit that I do not know the current procedures on this one – although I am often told by CPS and police officers that they will need to “seek the victims views” before agreeing to particular course of action I have suggested. When I call the CPS I am often met with a message telling me to press 1 if I am a victim of crime wanting an update on my case. Good practice would suggest that you should always keep your witnesses informed about what is happening in their case. There are two parts to this promise. First that an impact statement will be taken in every case and secondly that the judge will be required to take into account the victims comments in the impact statement. A victim impact statement is a witness statement made by the victim of a crime in which he or she spells out how the crime has affected them. They have been in existence for many years now, although they are rarely taken because the police lack the resources to take them. So, the first question is where will the extra funding come from to employ more police officers to take the extra impact statements? The second part of this promise makes this the most dangerous and potentially counter-productive of the six promises. Victim impact statements are given to the court after the jury has convicted the defendant. They can contain information that the defence disputes to be true. The only solution currently available is for the court to ignore the victim impact statement or for the defence to cross-examine the victim again. As victims often complain about being called a liar during cross-examination I fail to see how this will benefit them. It’s worth saying that I am not aware of any victim ever having been cross-examined on their victim impact statement, although they are relatively rare at the moment. If they appear in every case then victims being called liars for a second time will be inevitable. Er… because currently judges don’t reveal the sentence to anybody? I don’t honestly understand how anybody who understands the criminal justice system could put this forward as a proposal for improving things for victims. Judges at all levels spell out the sentences they impose in detail and have done since I first appeared in court so I have literally no idea what Davy-C wants to happen. Victims of serious crime should certainly be warned when the people who offended against them are to be released from prison. This is unlikely to be practicable in every case due to people moving and not updating prison authorities with their new addresses. When considering whether to release a lifer the parole board considers whether the person is safe to be released. To do this, they take evidence from every available source. They have access to the original evidence the sentencing judges remarks and, most importantly, evidence from pretty much everybody the prisoner encounters at their prison. Reports are written by inside and outside probation officers, prison officers, the chaplain, teachers, healthcare staff – literally anybody the prisoner encounters. Let us say that Terry is in prison for murdering Natalie. He received a life sentence and has served 18 years of a 15 year tariff, so he’s spent 3-years longer in prison than the sentencing judge set as the minimum. While I have no doubt that Natalie’s parents are still distressed 18-years later can they really add anything that the parole board can usefully take into account when deciding if Terry is fit to be released? The only way to make this work is to completely change the function of the parole board from one that considers whether the offender is safe to be released to one that considers whether the offender has spent so much time in prison that justice has been served. Currently, I don’t think the proposal is capable of achieving that so this promise is practically worthless. The final promise is for more protection for witnesses. This is a whole blog post in its own right so I do not intend to give it a full airing here. At present, the courts can impose restrictions on the questions that the defence can put to victims of sexual offences and can adopt special measures that aim to make witnesses (not just victims) feel more comfortable giving evidence. I am not immediately sure what Dave means by “more protection” but short of preventing the defence from putting certain questions to prosecution witnesses I am not sure what else can be usefully done. To conclude, without wholesale reform of the criminal justice system (which doesn’t seem to be planned) the proposals are a mixture of things that already happen, vague meaningless promises and at least one change that has the potential to make things worse for victims. I think what victims of crime want in most cases is for the offender to be given an appropriately tough sentence. This doesn't change that. Do they think someone beaten up in the street will feel better about the attackers getting suspended sentences or community service as long as the CPS is constantly ringing them with updates? Waste of time and money, with Saint Doreen Lawrence's name oddly attached to it. Would she have felt better about the bungling of her son's murder case as long as she'd been informed better? Judges do already spell this out, always. The media however lies by leaving this out, always. ps Defence Brief: the title of this post is mis-spelled. 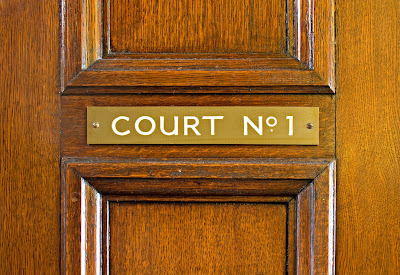 In cases of DV where the defence is self-defence or it never happened or accident (and that is pretty well all of the defended cases) I always pull up prosecutors who say "victim" when there has been no conviction and insist that the word is "complainant"; there is still (at the moment) a presumption of innocence and if the defendant is innocent there is no victim. What about bereaved families? They have no rights it seems and the police don't even bother to communicate with us or to provide support - though the family investigation officer (sorry, liaison officer) is happy to intrude and make family members all seem like suspects.